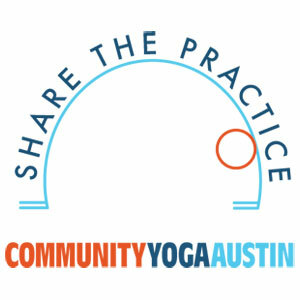 Community Yoga Austin offers the practices of yoga and mindfulness practices to under-served populations who may not otherwise have access to their transformative effects. We use yoga to break the school-to-prison pipeline, a widespread pattern in the United States of funneling under-served youth out of public schools and into the juvenile and criminal justice system. Yoga is a powerful means of affecting positive change. Yoga improves anxiety, depression, attention, academic performance, addiction recovery, and prison recidivism rates. Our commitment is to facilitate personal empowerment and social change by unlocking the intrinsic value of our community through our elementary school program, our high school program, and our prison program. Through the practice of yoga, our students learn healthy ways to manage challenges, and they are empowered to support their peers, their families, and their communities.